Cynthia Webb is an American artist specializing in handcrafted fine pewter whose work has been internationally recognized for its warm, evocative style and enduring themes of faith, family, and spirit. “I’m inspired through the creation of what I call art that also tugs at the heart,” she says. 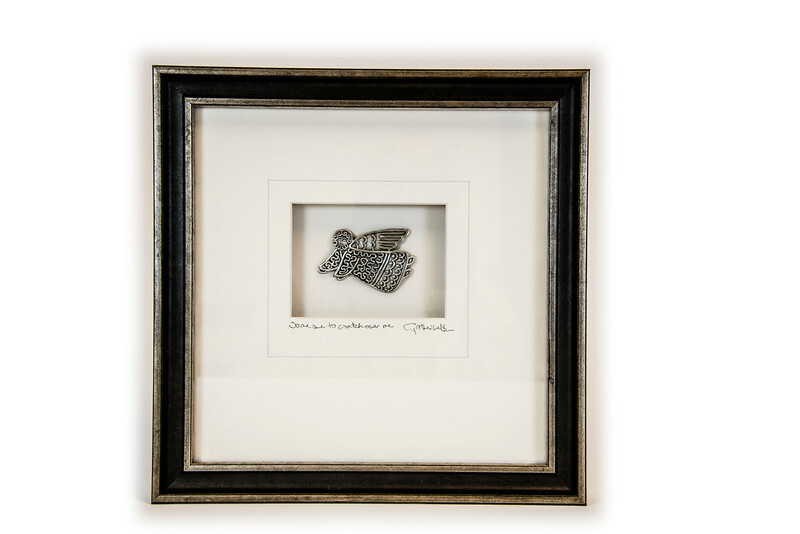 “I hope my work serves to commemorate that special person or occasion or place in our lives, that gets us closer in touch with what’s truly important and is a source of quiet joy for those who give it as a gift, receive it, or simply bring it into their homes.” Call Smith Galleries at 800.272.3870 to order.